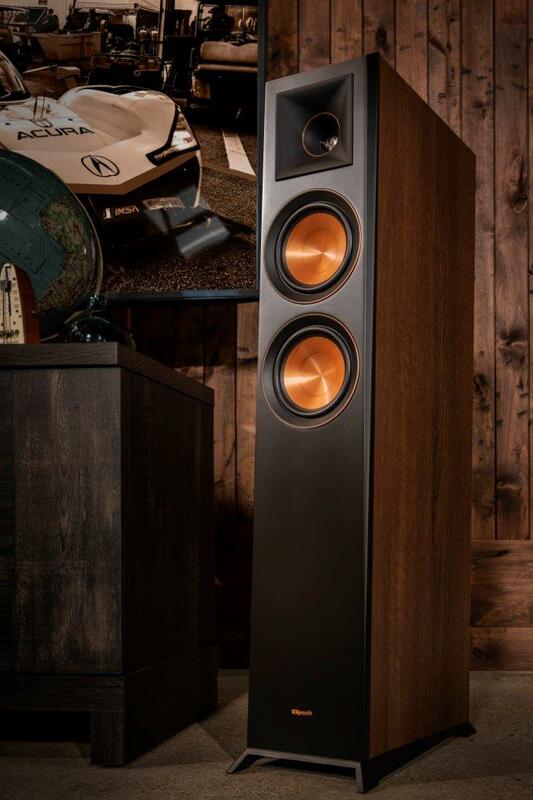 Distributor Henley Audio has announced the UK introduction of Klipsch’s new Reference Premiere speaker range. 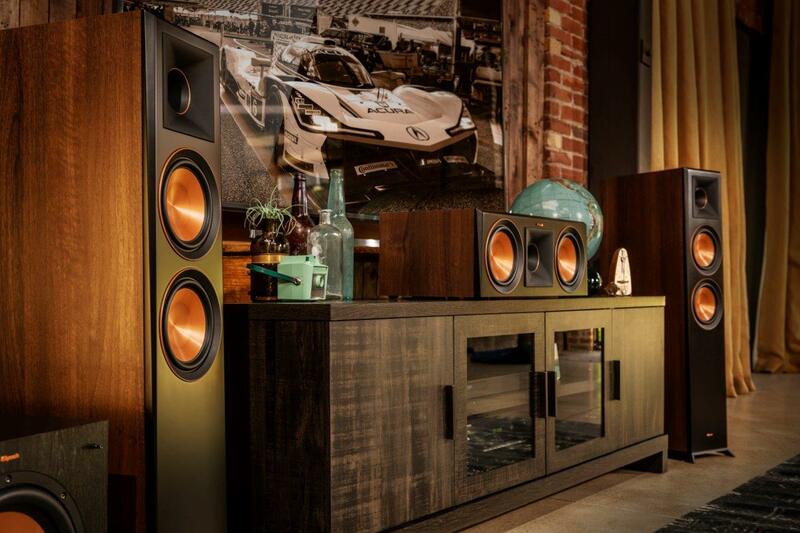 Redesigned from the ground up, the brand’s distributor says the the all-new Reference Premiere series leverages over 70 years of Klipsch signature acoustic expertise with cutting-edge technology to deliver the ultimate home theatre and Hi-Fi listening solution. 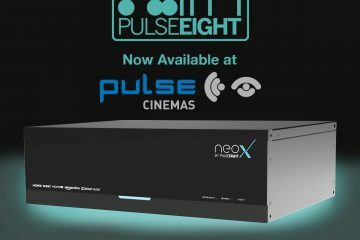 This being the second generation of the award-winning range, the new series has been expanded to 18 models – including Dolby Atmos-enabled components, subwoofers and purpose-designed surround sound devices. However, it’s not just a case of adding more models as every new Reference Premiere speaker features the latest technological audio advancements, premium material upgrades, and some cool looking cosmetic details. All Reference Premiere speakers use proprietary Tractrix horn technology to improve high-frequency response and extension, while enhancing imaging and dynamics. The horn features a compressed, moulded silicon face that’s mated to the 90×90 Tractrix horn, with computer-modelled phase plugs that act as a mechanical filter with the aim of delivering a smoother, flat frequency response as well as physically protecting the tweeter. Behind the horn, an exclusive Linear Travel Suspension (LTS) tweeter maximises dynamics, delivering detailed performances. 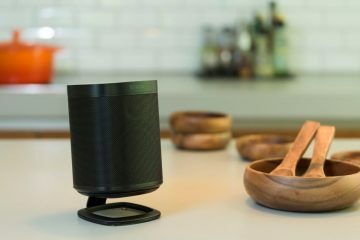 The new tweeter boasts a ceramic magnet housing and is vented to reduce the presence of standing waves behind the diaphragm. The diaphragm itself is a lightweight yet rigid titanium construction, out-performing similar aluminium, polymer or silk tweeters, according to its creator. 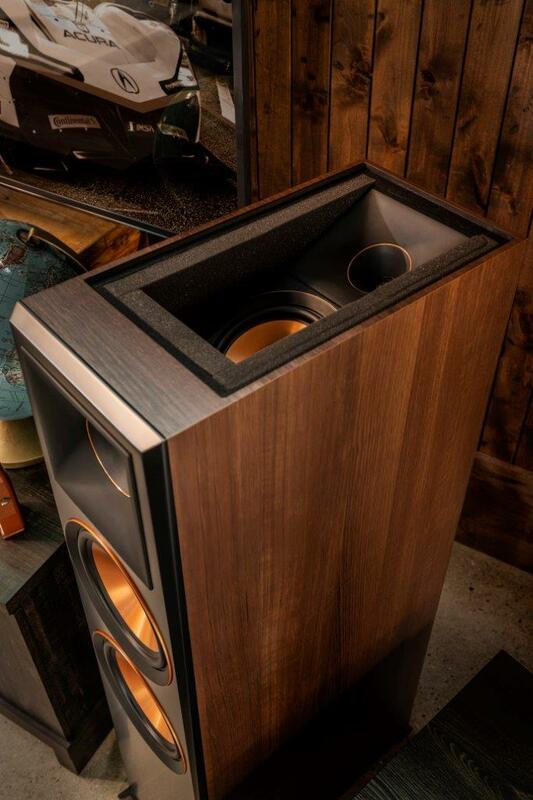 Klipsch describes the sound as clean and with very low distortion, yet though the sound is real-to-life, the horn ensures there are no hard edges in the reproduction. 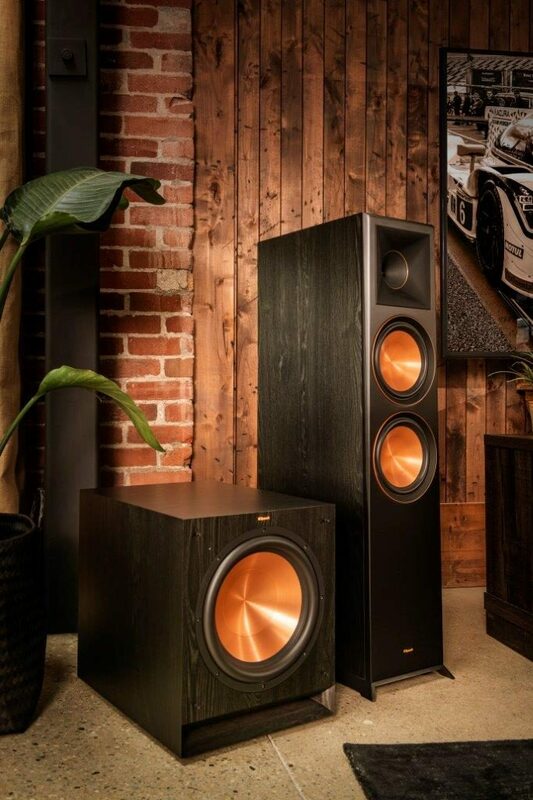 Like with the previous generation Klipsch’s signature copper-spun Cerametallic woofers and Tractrix reflex-ports provide powerful low frequencies while minimising distortion and maximising efficiency. Not only do Cerametallic woofers look pretty cool, they are also light and rigid for controlled low-end and mid-range reproduction. Inside the woofers, the Cerametallic cones are mated to a dual-layer, copper-wound voice coil for efficient conductivity. They’re then housed in a non-resonating stamped-steel basket that’s secured to a large magnet motor for exceptional efficiency and low distortion. Most models in the range then employ rear Tractrix ports, whose geometric design creates ideal airflow with minimal distortion or turbulence for a clean, precise low frequency performance. The speakers come in ebony or walnut* furniture-grade finishes with black satin painted, scratch-resistant baffles and sturdy, but flexible magnetic grilles. Pre-installed cast aluminium feet are included to give the floorstanders a modern appearance and minimise contact with the floor to reduce resonance. Completing the look discrete copper trim rings accentuate the tweeters and woofers, in the ranges’ familiar copper and black colour scheme. The SPL subwoofer range has been specially engineered to complement the new Reference Premiere speakers. 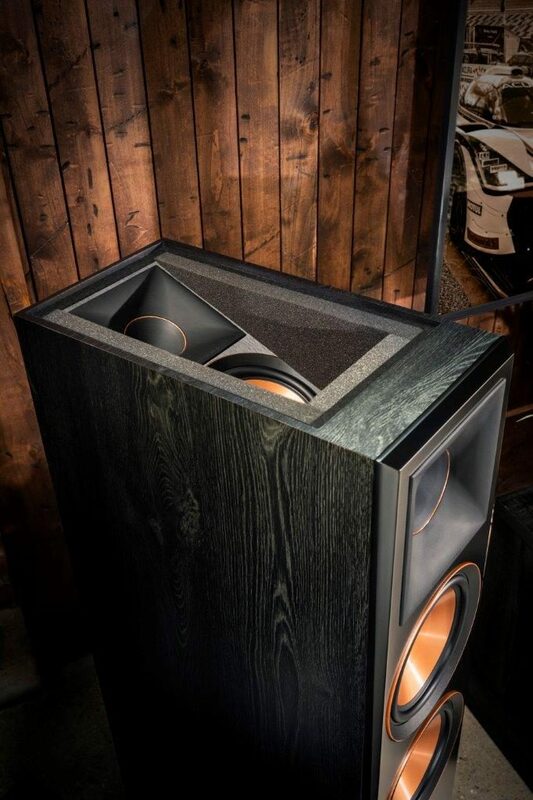 The SPL-100 (10in driver) and SPL-120 (12in driver) are available in the same ebony wood finish as the speakers, and also feature Cerametallic woofers for unrivalled handling of the low-end frequencies. 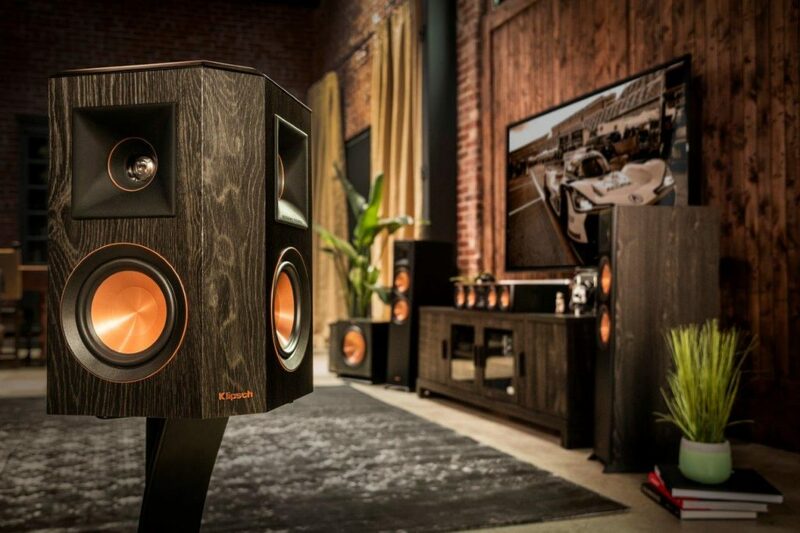 Utilising built-in, high efficiency amplifiers with analogue pre-amp stages, Klipsch SPL subwoofers are able to maintain the original signal path for cleaner, true-to-source reproduction, says their creator. 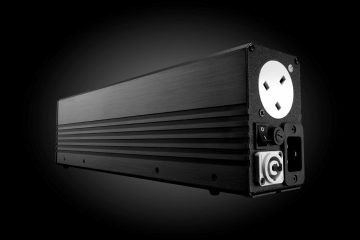 The Class D output stage ensures maximum efficiency for high output, accurate detail, and low frequency power. As a 15in option, the popular R-115SW, is still available as a sonic match for the range. 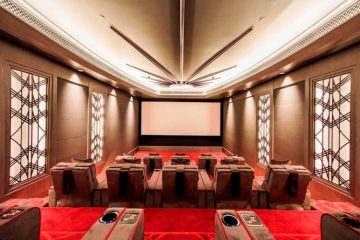 With five Centre Channel models, Reference Premiere is designed to fit into any Home Cinema environment – large or small. 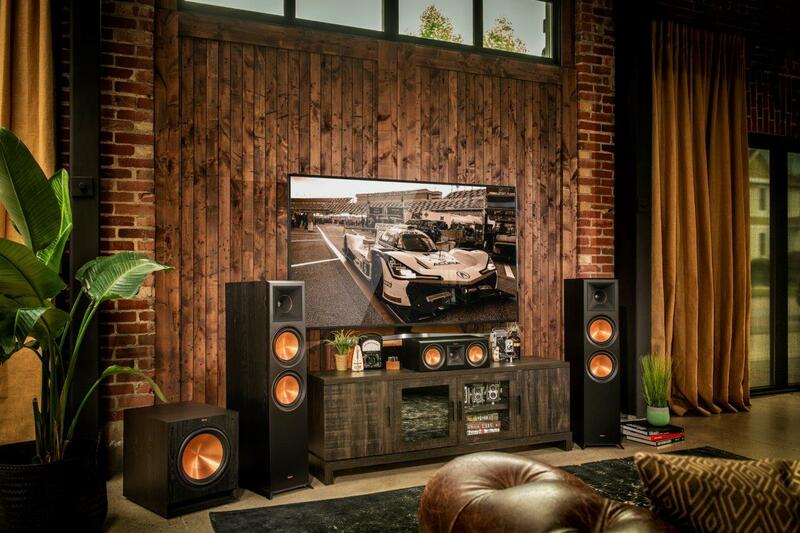 The two dedicated surround sound models also leverage Klipsch’s proprietary Wide Dispersion Surround Technology (WDST) to provide detail in any room, even with less-than-ideal placement configurations. 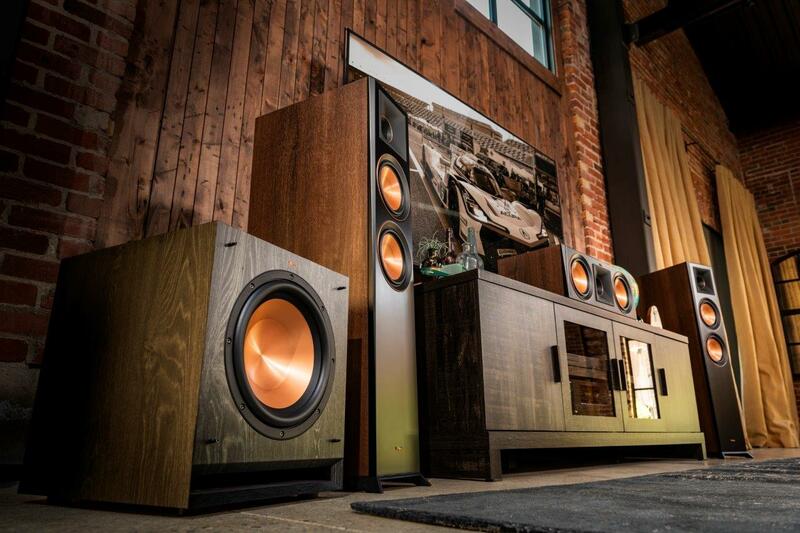 The Reference Premiere series boasts two Dolby Atmos-ready models. 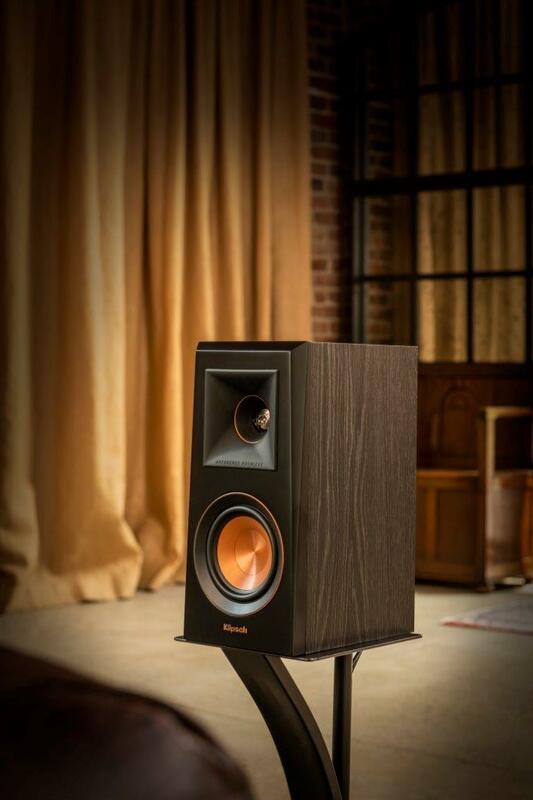 The RP- 8060FA is a floor-standing loudspeaker with integrated Dolby Atmos upward-firing speaker, while the RP-500SA is an add-on upward firing module that sits on any other existing speaker. Klipsch says its use of horn-technology for improved focus and directionality, means performance in this field surpasses the ability of many other designs. The RP-500SA can also be set for use as wall-mounted surround speaker thanks to its adjustable crossover switch. 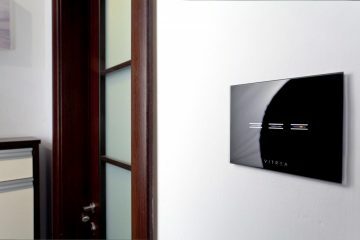 Find out more at the Bristol Hi-Fi Show (Room 418) February 22-24, Marriot Hotel, Bristol. *RP-4000F, RP-400M, RP-400C, RP-500SA, SPL-100 and SPL-120 models available in Ebony finish only.